Mammography in women aged 40 to 49 years- Harms outweigh benefits, states new American College of Physicians( ACP) guidance for Breast Cancer Screening in average-risk women. American College of Physicians has published guidance statements for screening breast cancer targeting clinicians the women who are asymptomatic by are at average risk of breast cancer. The purpose of the guidance statements is to provide advice to clinicians on breast cancer screening in average-risk women based on a review of existing guidelines and the evidence they include. The statement is inferred from an appraisal of selected guidelines from around the world that address breast cancer screening, as well as their included evidence. The guidance appeared in the Annals of Internal Medicine. The ACP committee noted that, in general, the magnitude of reduction in breast cancer mortality associated with mammography screening is small, a point it believes most guidelines did not emphasize. All national guidelines published in English between 1 January 2013 and 15 November 2017 in the National Guideline Clearinghouse or Guidelines International Network library were included. In addition, the authors selected other guidelines commonly used in clinical practice. In average-risk women aged 50 to 74 years, clinicians should offer to screen for breast cancer with biennial mammography. Clinicians should discontinue screening in women aged ≥75 or those with life expectancy ≤10 years. Age is the single most important risk factor for breast cancer. 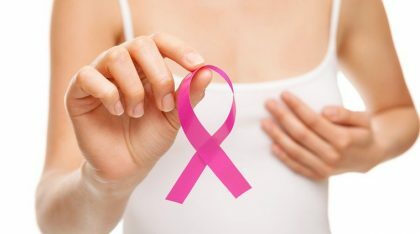 Included guidelines generally define average-risk women as those who do not have a personal history of breast cancer or a previous diagnosis of a high-risk breast lesion, are not at high risk for breast cancer due to genetic mutations known to increase that risk (such as BRCA1/2 gene mutation or another familial breast cancer syndrome), and were not exposed to radiation therapy to the chest in childhood. Rather than developing a new clinical practice guideline in these circumstances ACP instead prepares and releases guidance statements that rely on evidence presented or referenced in selected guidelines and accompanying evidence reports.